VADODARA: Three Congress candidates, whose constituencies share borders, relied on each other to harness caste equations. If Kheda’s Dinsha Patel campaigned for Bharat Solanki in Anand to woo Patel voters, Kapadvanj candidate Shankersinh Vaghela canvassed for Dinsha at Dakor and Thasra to solicit Kshatriya votes. Sources told TNN that Congress leaders wanted to ensure that the 30 per cent Patel voters in Anand don’t vote against the party just because Solanki was a Kshatriya. Dinsha’s presence may have sent a message to the community not to see Solanki as their enemy. Among other Patels who came to Solanki’s rescue were spokesperson Hasmukh Patel, Urmila Patel and her son Siddharth besides former deputy chief minister Narhari Amin. In Kheda, on the other hand, the BJP was projecting Shubhanginiraje Gaekwad as a Kshatriya candidate to woo OBCs who form 60 per cent of the electorate. Vaghela not only helped Dinsha by campaigning among Kshatriyas but also sent a substantial chunk of his Shakti Dal volunteers to Kheda. "Traditionally, the Dinsha and Solanki factions have been rivals, even indulging in sabotage at times. The unified campaigning also sent a message to party workers to shun feuds," says a prominent Congress leader. The Congress candidates, however, don’t want to admit their caste arithmetic. 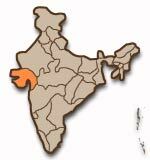 "There are 27 villages in Dakor and Thasra that fall in Kapadvanj constituency but part of Kheda district. Voters from these villages have to approach Dinsha for their work though they vote in Kapadvanj. So, Dinsha’s campaign in these places boosted workers’ morale," says Dinsha’s aide Vinubhai Solanki. Dinsha criptly remarks: "People say that Congress leaders are divided. We sent a message of unity." in The Times of India, Wednesday, April 21, 2004.